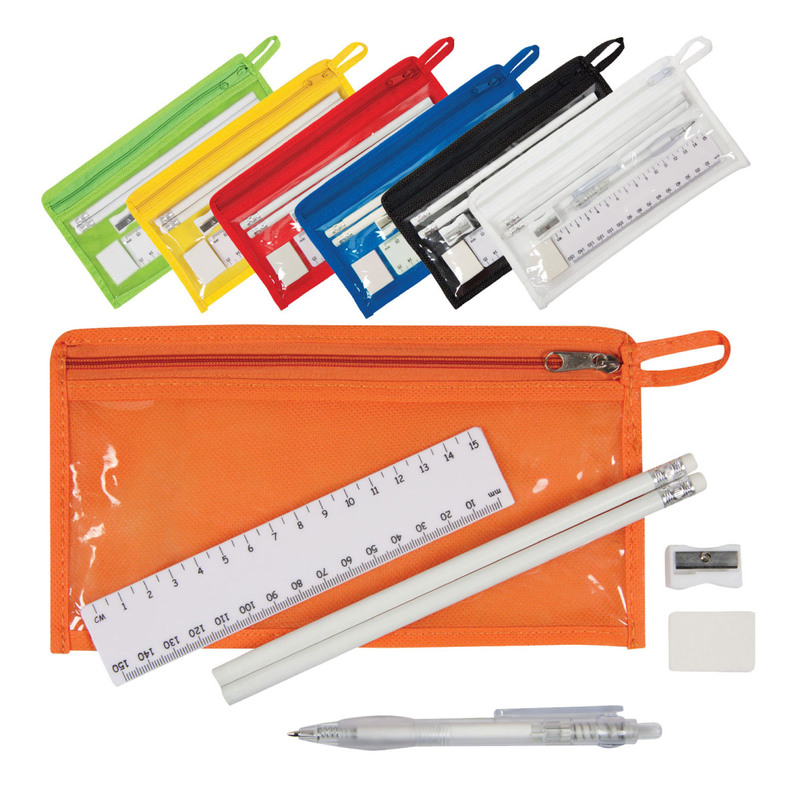 Available in a number of vibrant colours, these stationery sets are made from promotions. 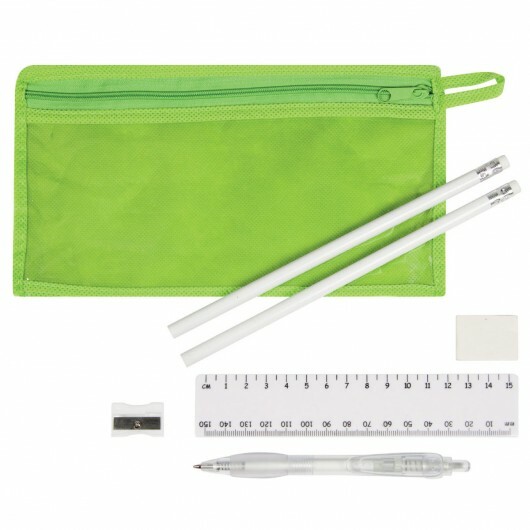 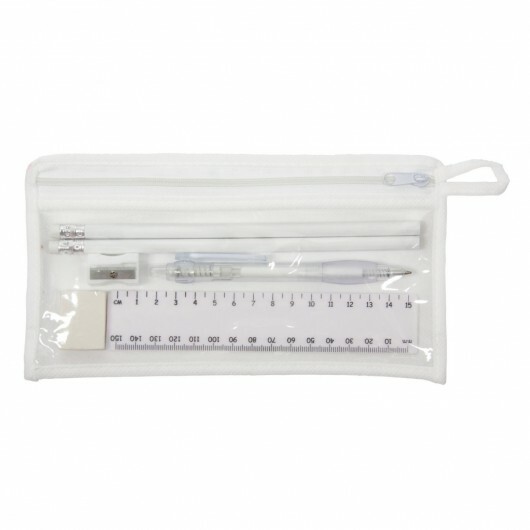 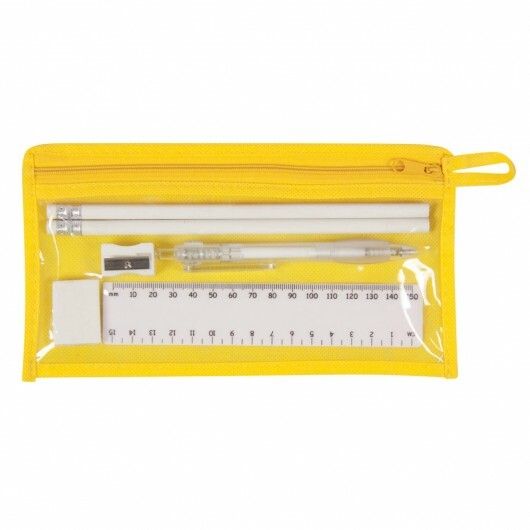 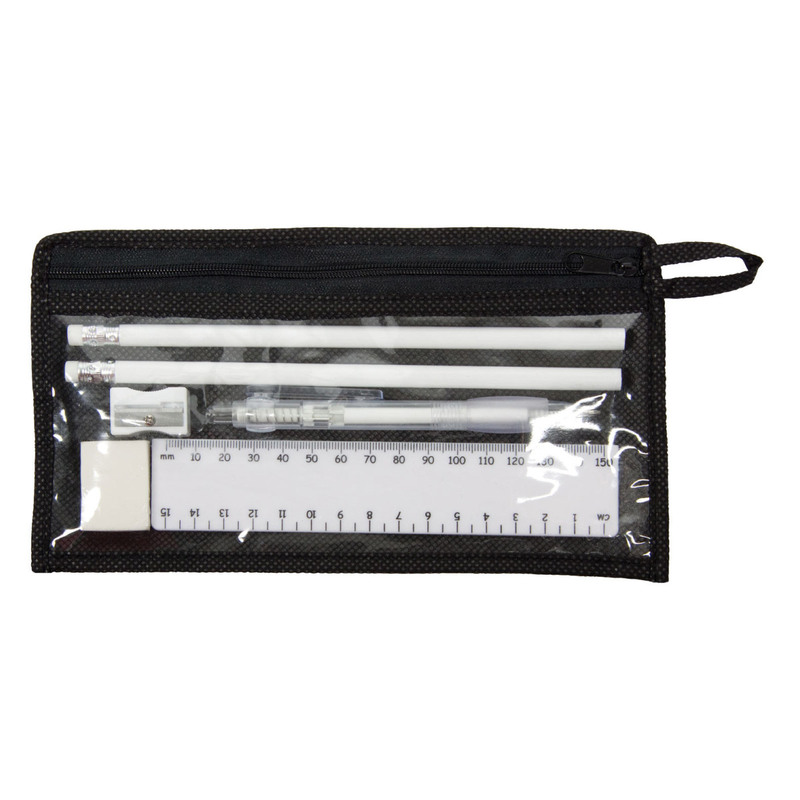 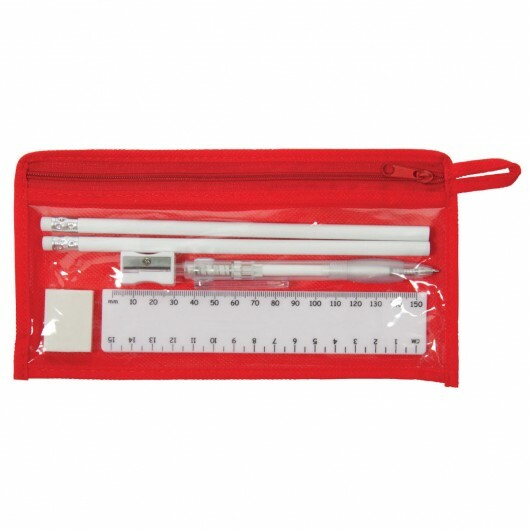 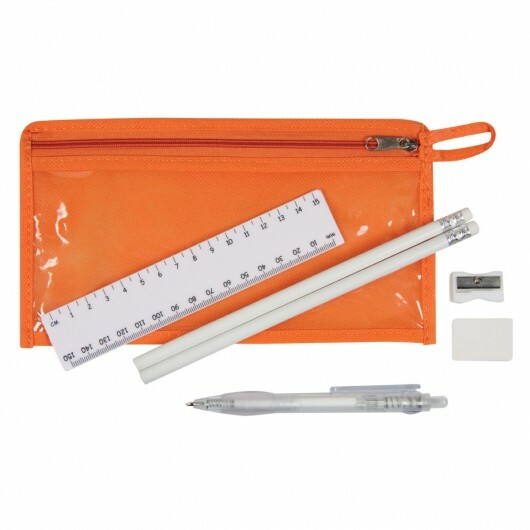 These stationery sets are an all in one convenient promotional stationery set that includes: a 15cm ruler, 2x full length pencils, ballpoint pen, pencil sharpener and eraser all packed in a zippered non-woven pencil case with clear PVC window at the front and comes in a range of vibrant colours. 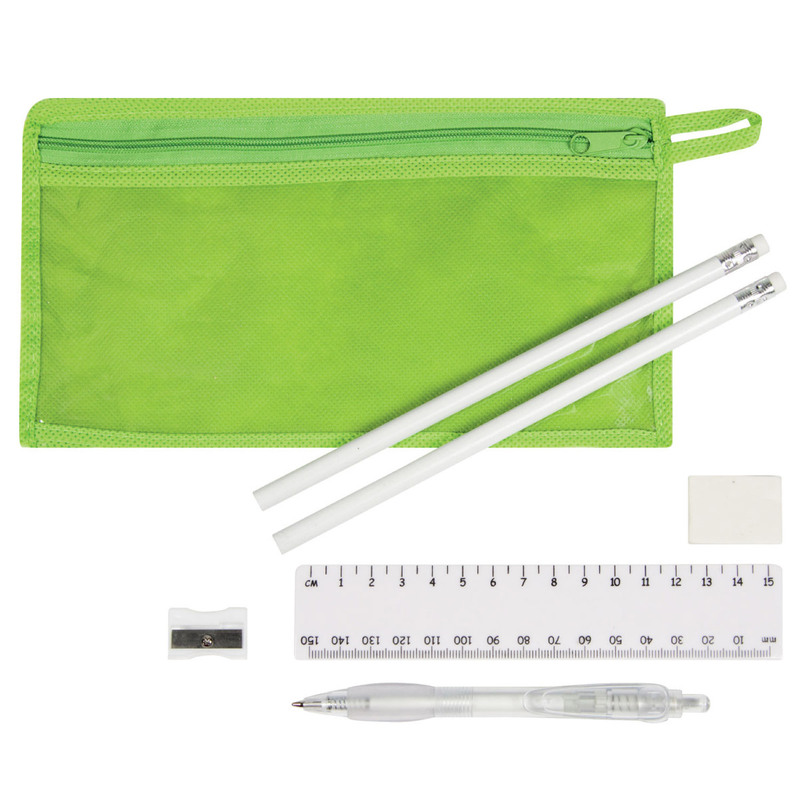 The perfect promotional product for children, students and office workers.